5 PM to 8 PM Talent Show sponsored by the Savings Bank of Walpole – Helen Miller Theater, Walpole Town Hall – Awards given right after performance. 10 AM to 4 PM Children’s Play Area and Equipment Display -sponsored by Cold River Materials – Savings Bank of Walpole Parking Lot. 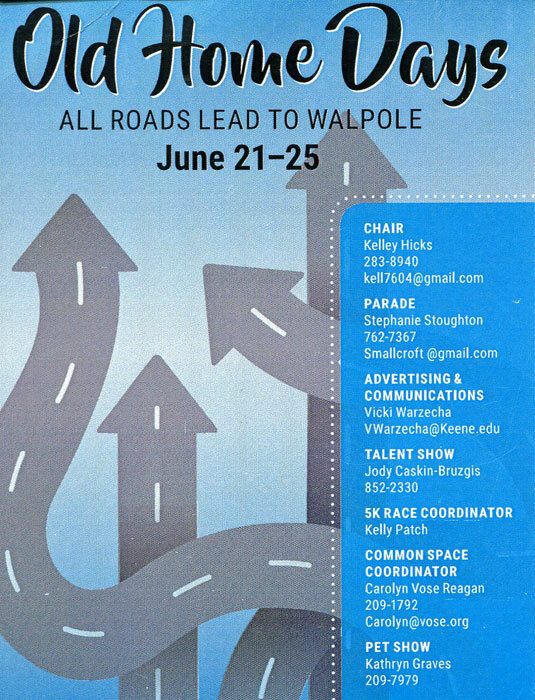 12 PM to 4 PM Firefighters Challenge, Stone Church Field – Walpole Volunteer Fire Dept. 12 PM – 3 PM Hay rides around town provided by John Tarmey Jr.